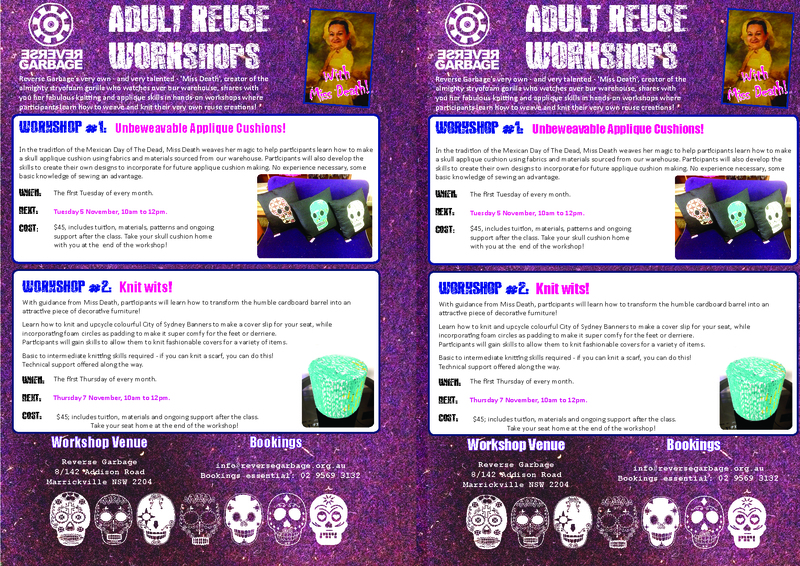 The Skull Cushion workshop is held the first Tuesday of every month. The Weaved Ottoman workshops are held the first Thursday of every month. Next Next post: November Nonsense SALE – now on!